What happens if I have an orthodontic emergency while I'm on vacation? Orthodontic Care on the Go! It's springtime and it's again time to remind our patients at Coats Orthodontics to protect their faces and pearly whites while out on the field playing sports. According to the National Youth Sports Safety Foundation, children, high-school athletes and adults have more than 5,000,000 teeth knocked out in sporting events annually. 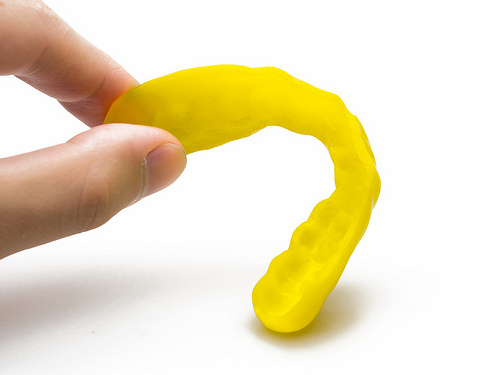 Having a mouthguard can make the difference between losing your teeth or not, and because many of our patients who play high school sports have jaws that are still growing, last year’s mouthguard may no longer fit as it should. Dr. Matthew Coats and our team at Coats Orthodontics can fit you for a new guard. To learn more about mouthguards or for general questions about your treatment at our Tomball office, please give us a call!